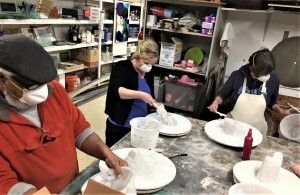 The Washington Post Sunday Magazine has a great article about how Erwin Timmers is able to source artwork from ordinary cast-offs. 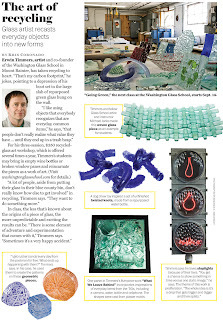 Washington Post writer Kris Coronado interviewed Erwin for the “Closer Inspection” column of the magazine, and spent the day at the school with photographer Ben Tankersley, wanting to know the story of seemingly every piece of glass they found. Get your paper this weekend! 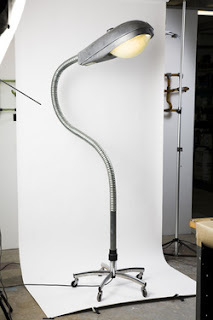 Or for those looking to minimize their carbon footprint – click HERE to read the article online. 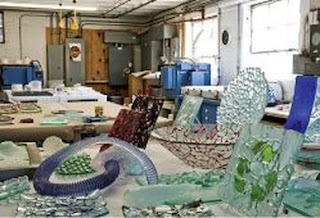 Want to know more about Erwin’s upcoming class on fusing with recycled glass or making tables with recycled glass? Click HERE to jump to the Washington Glass School online class list. 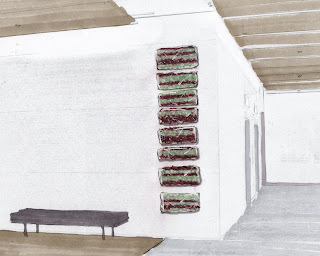 Erwin Timmer’s original concept sketch for the cast recycled glass panel sculpture. 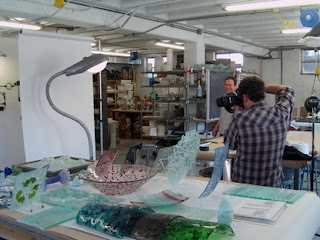 The actual installation of the glass sculpture. The vision and reality are a close match! This weekend, Erwin Timmers installed a major commissioned art work for the new environmentally conscious building at 1129 20th St. NW, Washington, DC, also known as “The Liberty Building“. Working together with Anna Major of Fox Architects and building owner John Gattuso, the wall sculpture is a site–specific piece that has a dialog with Margaret Boozer’s ceramic artwork installation also in the building lobby. The wall sculpture created by casting with recycled window glass is central to the concept of this piece. 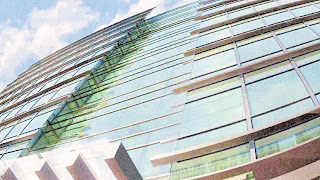 Erwin was selected for the commission in part because of his use of sustainable design in his artwork, and his use of recycled glass has the artwork keep in the nature of the building’s LEED gold certified design. 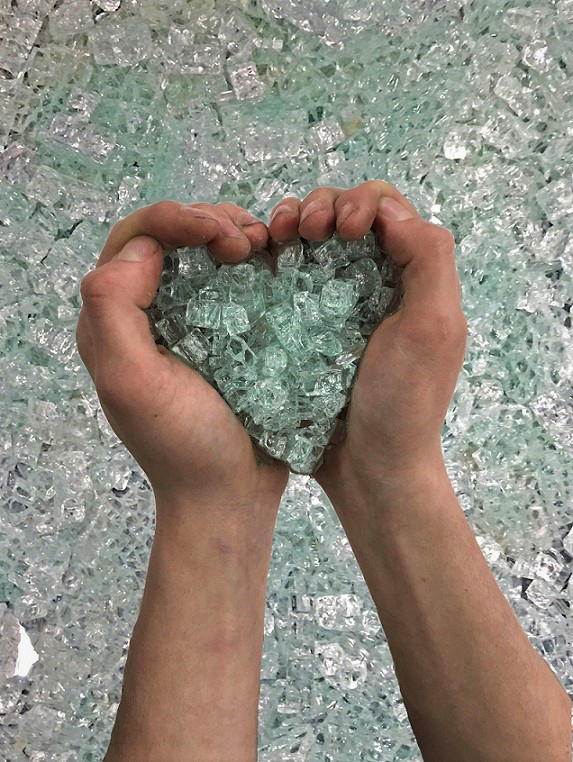 Window glass or float glass is one of the least recycled building materials and many recycling advocacy organizations and programs consider it the pariah of their work. 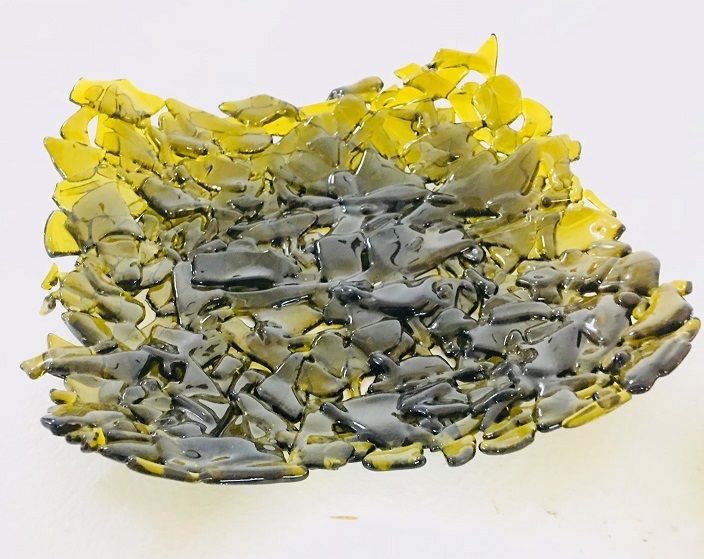 Less than 3% percent of discarded float glass is recycled, and this project provided the opportunity to divert at least some from the waste stream. Erwin Timmers installing the recycled glass artwork on the limestone wall. 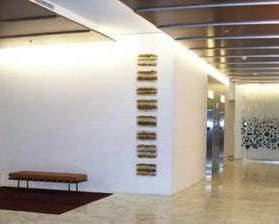 There is also a great play between the lobby artworks, where Margaret Boozer’s work is stone on glass, and Erwin’s incorporates glass on stone. 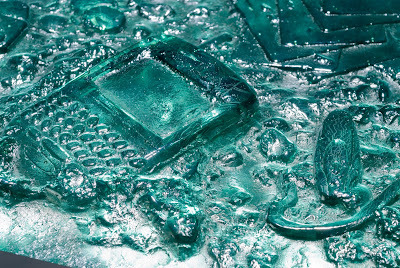 Erwin commented that his glass sculpture also references modern technology and communication – the final design is actually based on the word “ART” in barcode language. Erwin Timmers sculpture left, Margaret Boozer’s sculpture beyond. 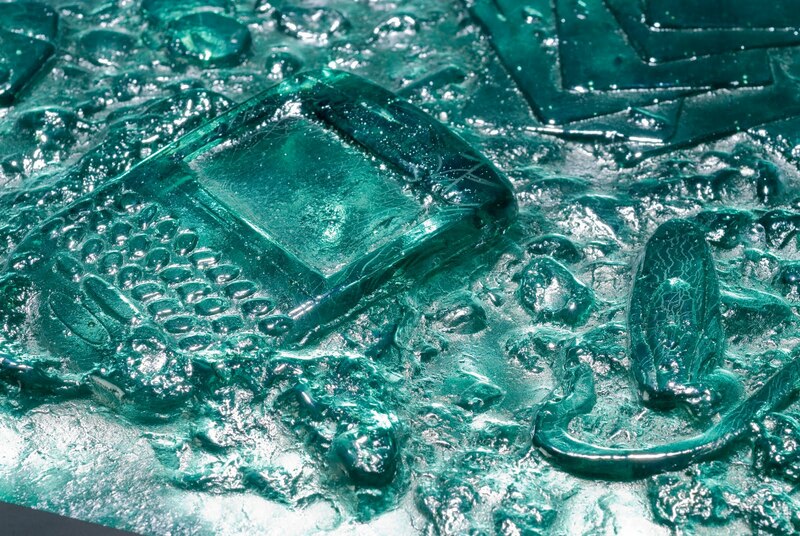 Click HERE to see more of Erwin Timmers’ environmental based artwork. 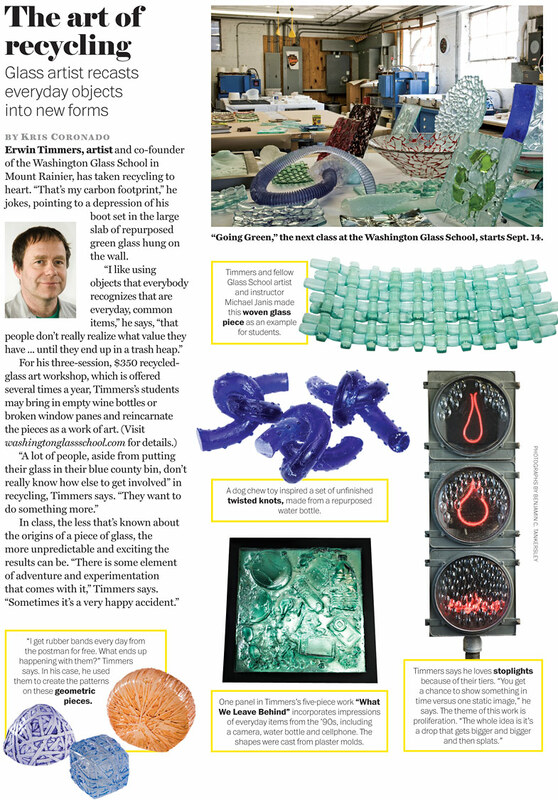 Our leader of sustainable design – Erwin Timmers – has his artwork made from recycled glass included in a new book out next month – “1000 Ideas for Creative Reuse” by Garth Johnson. Featuring 21st Century craft and design, it is an inventive collection of cutting edge work made from recycled, upcycled, repurposed and reused items. 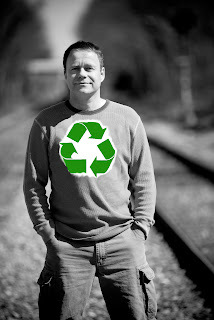 The author, Garth Johnson is a studio artist, writer and educator, in addition to maintaining the website “Exteme Craft“. 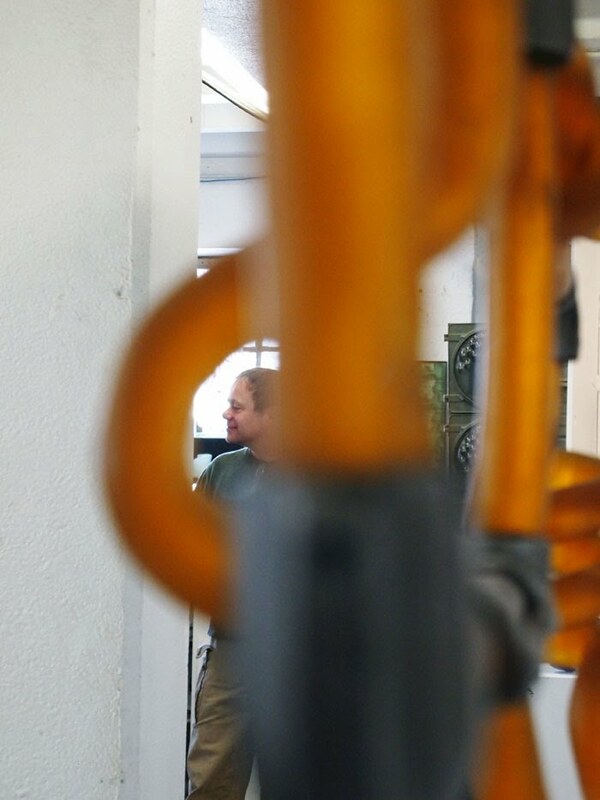 Garth writes for CRAFT magazine and his writing has been featured in museum catalogs, magazines, and books worldwide, including a contribution to the upcoming book Handmade Nation from Princeton Architectural Press. Garth is currently a full-time instructor at College of the Redwoods in Eureka, CA. Click HERE for the publishers link to the book. Erwin Timmers teaches about the use of recycled materials in an upcoming class “Recycled Your Glass” – a great class to take to see how you can become part of the Green Movement in glass! Erwin’s class takes place over three nights, Nov 4, 11, 18. Click HERE to see the class info.